State Rep. Mark Pody was in town Thursday to provide assistance to a local company looking to expand its operations. Rep. Pody met with Hugh and Joyce Cobb, who own and operate Cobb Home Improvements, to see how he could assist them in obtaining financial help from the state and federal governments to start manufacturing one of their new products. Also attending the meeting were Woodbury Mayor Harold Patrick and Randy Barrett, a member of the Cannon County Industrial Development Board. The Cobbs are hoping to manufacture and sell lighted decor tiles. The tiles provide illumination to areas of homes and businesses where it is not usually available, such as kitchens and bathrooms. The technology used to provide lighting to the tiles through fiber optics received a U.S. Patent late last year. The Cobbs, who are local residents, hope to manufacture the tiles at a facility in Woodbury. Initial projections call for a workforce of up to 25 employees. Long-term estimates foresee as many as 200 workers needed. Capital is needed for start-up costs, such as acquiring a facility, equipment and labor. During the course of Thursday's meeting, Rep. Pody contacted a host of state officials to set up a meeting at Woodbury City Hall next week. The state officials will work with the Cobbs to help determine what their needs are and to assist them in filling out the necessary paperwork required when applying for loans and grants. 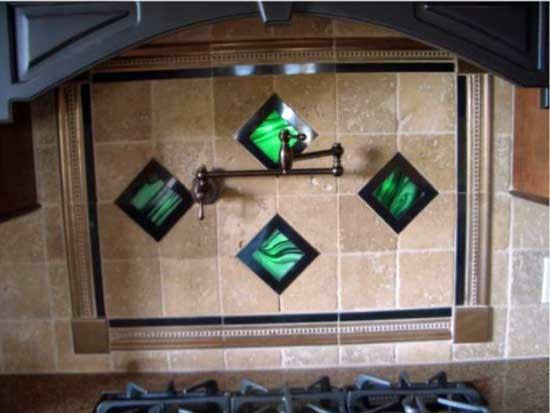 The Cobbs indicated they have already received positive feedback from major national home improvement retail outlets about selling the unique tiles. According to Barrett, IDB chairman Jackie Francis is also helping put together a local incentive package to assist the Cobbs in getting started. congradulations Cobbs. So proud of you. It would be great to have more places to work in Woodbury. I wish the Cobbs much luck and success in their business.